Former ZanuPF member Shadreck Mashayamombe has been arrested together with 25 other suspects in connection with the politically motivated violence which rocked Harare yesterday and left six people dead while injuring 14. ZRP Spokesperson, Senior Assistant Commissioner Charity Charamba told a media briefing that Mashayamombe and crew are assisting the police with investigations. “So far the police have managed to arrest 18 plus eight suspects. I was briefed that the 18 were arrested this evening (eight others were arrested yesterday) to make a total of 26 suspects in police custody. “Amongst those arrested is Shadreck Mashayamombe, a member of the MDC Alliance and formerly of ZanuPF,” Charamba said. 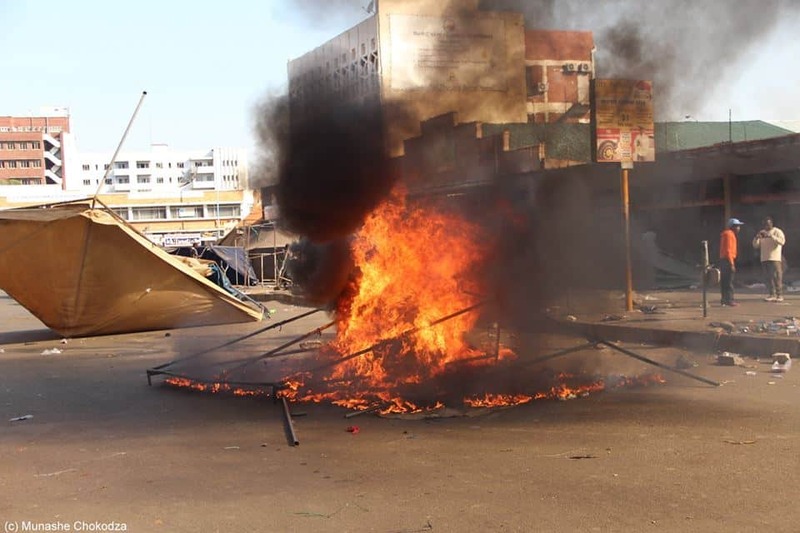 Yesterday, Harare was rocked by violent scenes after purported MDC Alliance supporters stormed the Election Results Centre, demanding that the Zimbabwe Electoral Commission (ZEC) should release presidential election results. However, the demonstrations turned nasty as the irate opposition supporters started pelting police officers and ZanuPF offices with stones. 22 shops were destroyed in the skirmishes while eight vehicles which were in the Central Business District were damaged, said the police. Meanwhile, one more person has died following the violence to add the total of dead people to six. Yesterday, the Minister of Home Affairs, Obert Mpofu, pushed the blame entirely on the MDC Alliance and its leadership for the violence. He said Nelson Chamisa, the Alliance president, had incited his supporters, before, during and after the elections. Charamba urged the nation to remain calm but said the situation remains tense, especially in Harare. She said police have been reinforced as the nation awaits the release of presidential results later tonight. The Zimbabwe Electoral Commission said they will release the much-anticipated presidential poll results tonight, following pressure from regional and international observers.